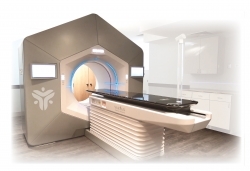 Port Jefferson Station, NY, April 08, 2019 --(PR.com)-- On Tuesday, March 25, New York Radiation Specialists unveiled its brand new Varian Halcyon Linear Accelerator, at New York Cancer & Blood Specialists’ Eastchester Center for Cancer Care. The “NYCBS” Eastchester location is a multi-lingual facility located at 2330 Eastchester Road in the Bronx, just minutes from the Pelham Parkway. The Halcyon makes the NYCBS Eastchester Center for Cancer Care the most state-of-the-art radiation site in the region.